Out with private offices and in with the open-office environment. This office philosophy has been preached for years now. But some companies misunderstand the core of this philosophy, and instead of fostering creativity and collaboration, the open-office environment becomes the cheaper alternative that transforms the office into a sea of desks and cubicles. Most people spend a large amount of time at their office, so naturally it becomes important to have an office environment that sparks well-being among employees. There is plenty of logical reasons for why a poor work environment is bad for business in terms of both the well-being of your employees and for your bottom line. So let’s instead focus on the positive effects that a good work environment has. 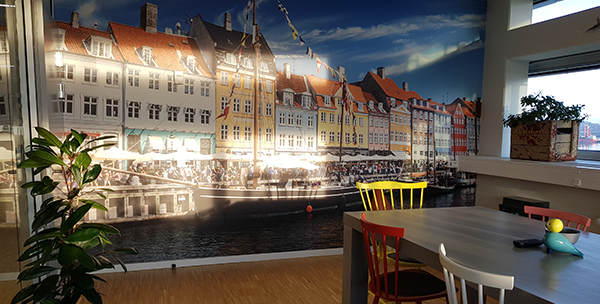 When we were faced with growing out of our previous office space and had to relocate to something larger, we instantly knew that creativity, fun and relaxed had to be in the heart of our new office environment. We knew it because it is part of our company culture. 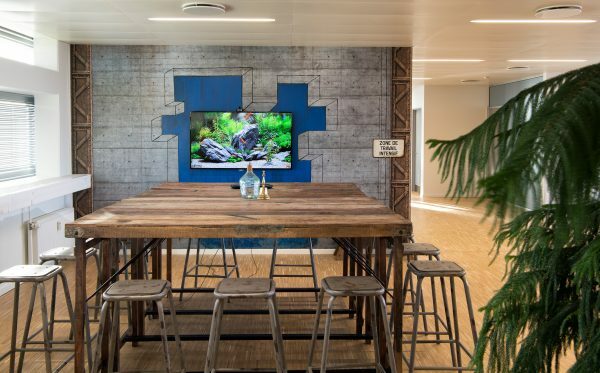 An inspiring office environment starts with identifying how you can reflect your company culture in items and things that you can put into your office space. By extending your values into your office, you create an immediate understanding of what your company is like. Is your company grey and boring like the office cubicles, or do you want to reflect your true values? We had plenty of ideas on what the new office should look like, but being an IT company, none of us had much experience in furnishing and decorating. So we teamed up with an interior designer who translated our ideas and visions into what we have today. Our Tokyo meeting room decorated in a Japanese style. All of our meeting rooms are equipped with a large screen and camera to allow video meetings on Google Hangout. 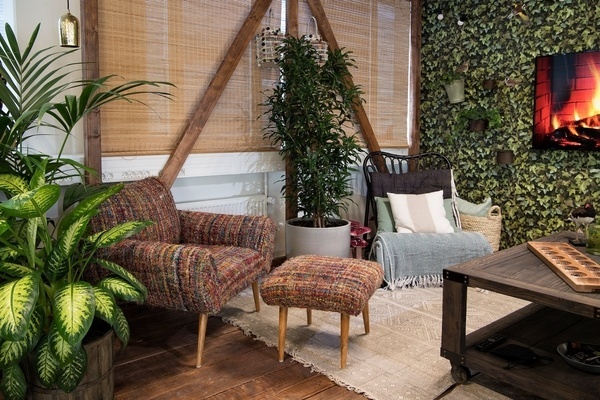 We have built a cozy indoor terrace with plenty of plants and a year-round summer vibe. Meeting point with seating used for group discussions and announcements. Inspired by the historical San Francisco trams, this meeting room is ideal for meetings on Google Hangout with a screen and camera placed on the opposite side of the bench. 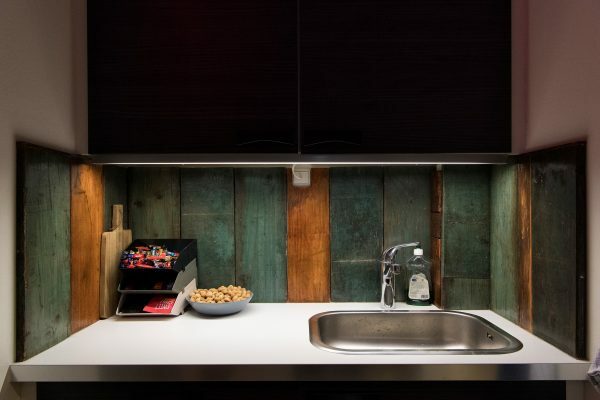 Our kitchenette is fully equipped with different snacks and drinks. It is also home to our coffee machine, which leads to a traffic jam to and from this room. Here is a fun fact: Our coffee machine is equipped with WiFi and Bluetooth. We have a fantastic roof-top view of the Eiffel Tower through the window of our Paris meeting room. Our large Copenhagen meeting room is made in Nordic style with furnitures designed by some of the most famous Danish designers. Successful collaboration requires giving co-workers easy access to each other. But it is also important to give employees access to meeting rooms and lounges that provides them with privacy and the possibility to focus without the risk of being disturbed. Open-office environments are great for facilitating collaboration and transparency, but by neglecting the need for privacy as a necessity, you remove the possibility to focus and recharge. 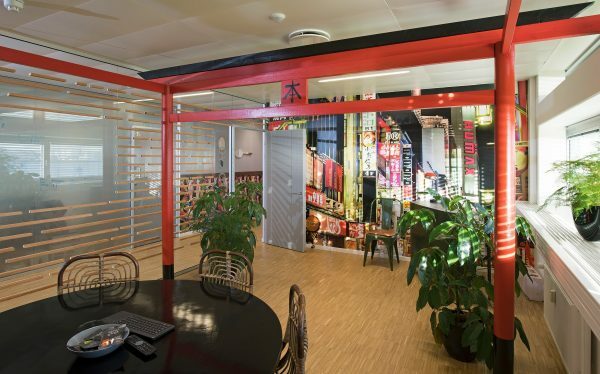 A well-designed office can boost productivity significantly and create a positive atmosphere. And creating a positive atmosphere at your workplace is crucial. A survey from Steelcase and Ipsos revealed a strong correlation between employees’ satisfaction with their work environment and their level of engagement. Those employees that are most satisfied with their work environment are also highly engaged in their work. The study truly reveals that the work and office environment has a direct impact on employees’ engagement. In other words: If people are happy with their workplace, they tend to work both harder and smarter. Positivity is just as contagious as negativity. By promoting office values such as open-mindedness, friendliness and collaboration that are usually associated with positivity, you promote well-being at your workplace. Privacy allows employees to contribute with their own point of view instead of succumbing into the psychological phenomenon of “groupthink” in which viewpoints and opinions are subconsciously aligned with their peers. 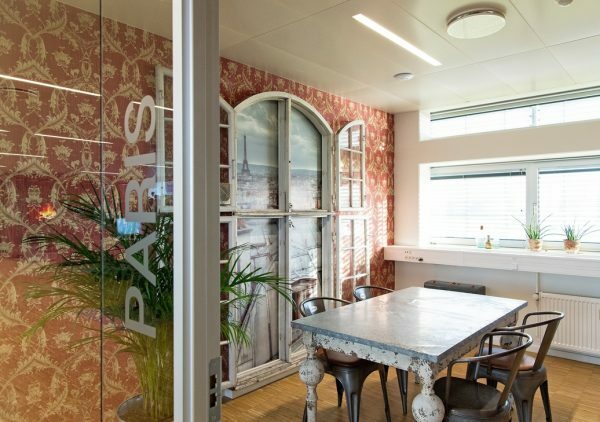 Think design, furnishing and decorating to create an inspiring office environment with a unique twist of your company culture. By investing into your work environment, you will increase satisfaction and in turn reduce your employee turnover rate. Of course, the best fit is different from person to person. But a report from Gallup found that those who spend up to 20 percent of their time working from home or remotely are most engaged of all workers. So add flexibility to their work in terms of when and where. Studies have proven the importance of being exposed to greenery and natural lighting. Overall, exposure to plants and sunshine has a 15 percent increase on well-being and creativity and a 6 percent increase on productivity. And here is another fact for the tech companies: Computer programmers with a view spend 15 percent more time on primary tasks, while others spend 15 percent more time talking with others thus fostering creativity and collaboration.